Here’s another way to help them: donate a live breeding goat to help them re-start their lives in a sustainable way. At least two organisations I know of are working on this novel idea: Pakistan Animal Welfare Society and Sadiqa Salahuddin’s Indus Resource Centre (IRC) which has a long history of working on education (especially of girls) in the Khairpur area of Sindh. 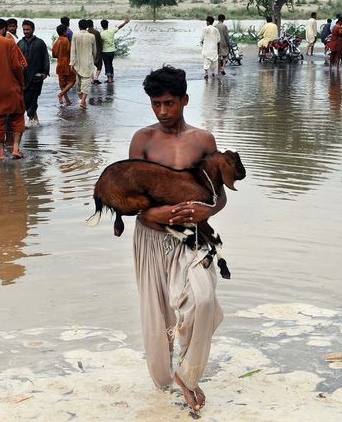 The floods killed 236,114 livestock animals in Sindh alone, according to the Provincial Disaster Management Authority Sindh (PDMA). 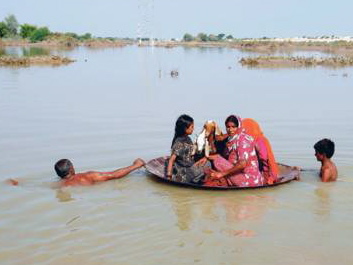 This has further impoverished thousands of flood-affected families who rely on livestock animals, notes Sadiqa apa (tel. +92-332-379-3701). In a recent email, she writes that IRC will identify affected families (IDPs that have gone back to their villages), purchase and deliver goats from neighbouring small towns. They will also train women in preventive and curative health of animals — vaccination, common ailments and remedies, nutrition tips, etc. Address: ZamZama Branch, D.H.A Phase V, Karachi, Pakistan.